Lord, today we pray that Gambian President Yahya Jammeh will accept his defeat and hand over power to the elected successor, Adama Barrow, before war breaks out. 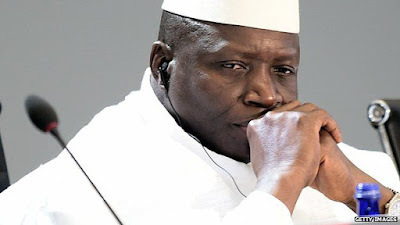 Lord, with tens of thousands of Gambians taking refuge in neighboring Senegal, and armed forces from Senegal, Nigeria and Lagos preparing for imminent battle, it is imperative for Jammeh to step down in order to protect his people and nation. Please compel him to do the right thing. Bring about a peaceful resolution. We pray for refugees as they flee and tourists as they evacuate. Protect and guide them. We desire peace in West Africa. In Jesus’ name we pray, amen.